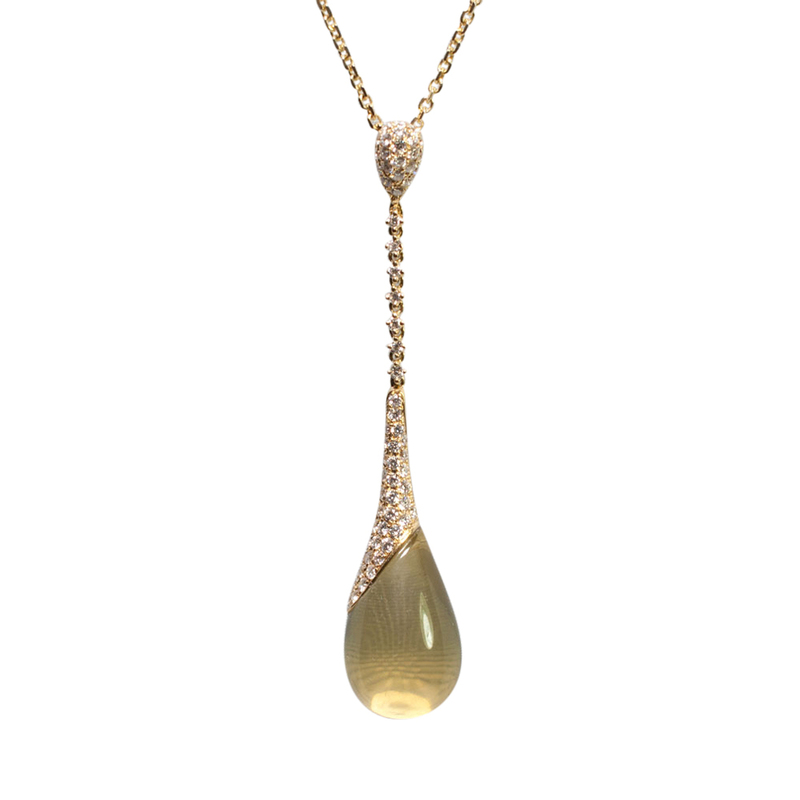 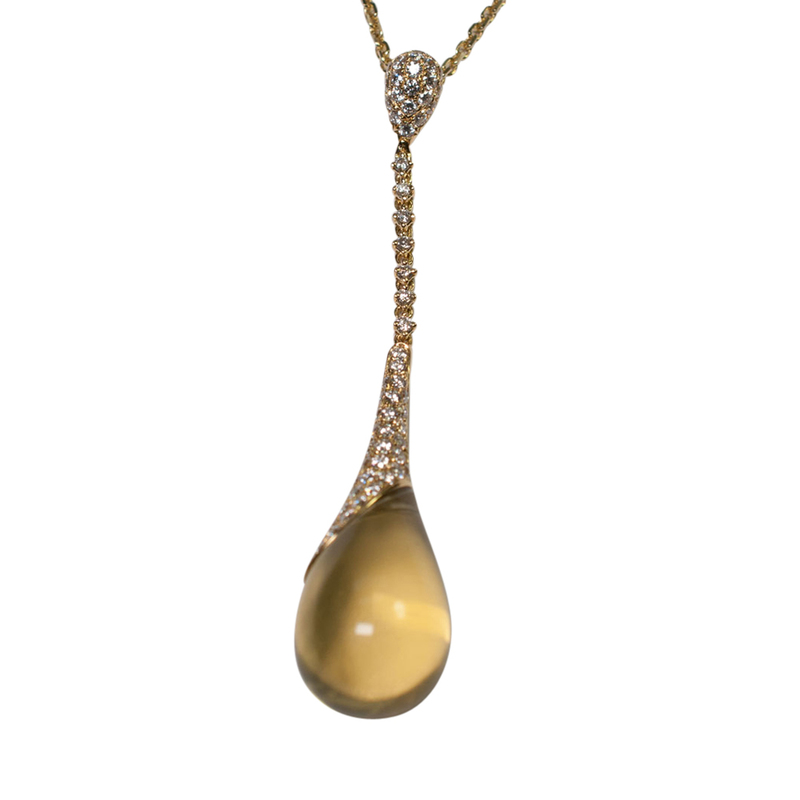 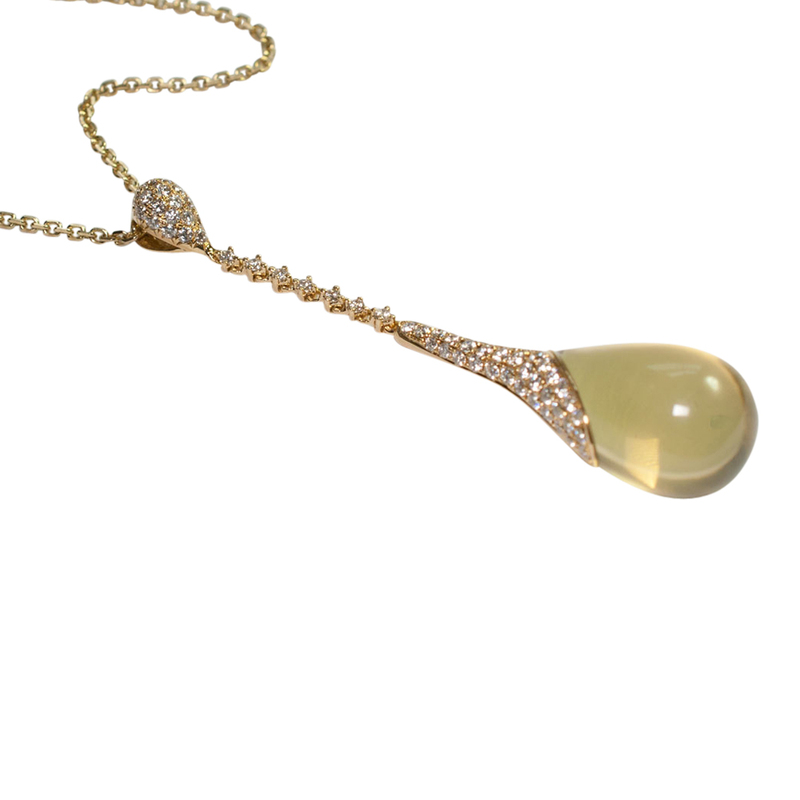 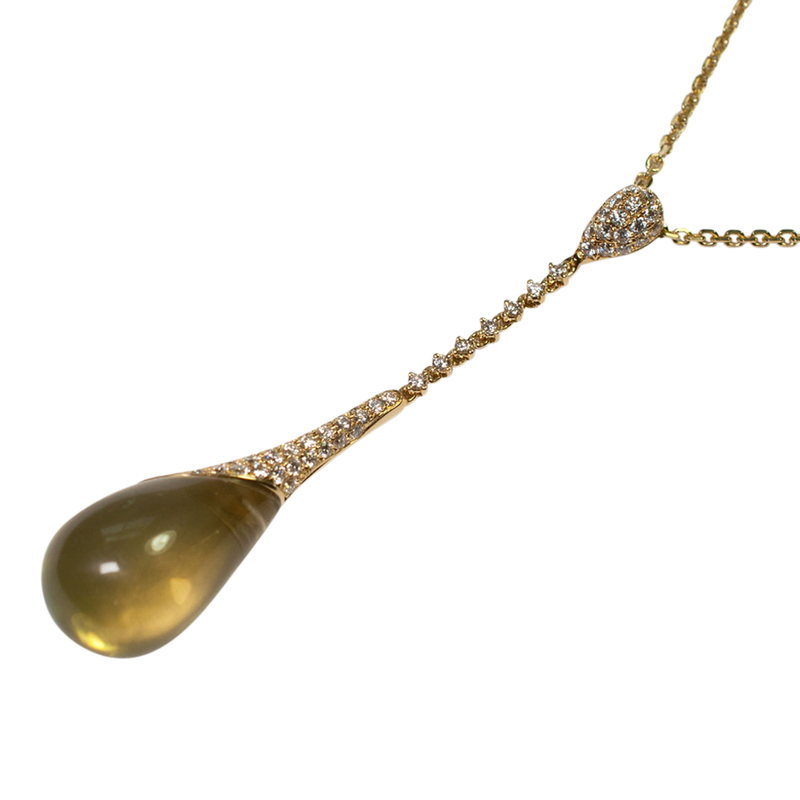 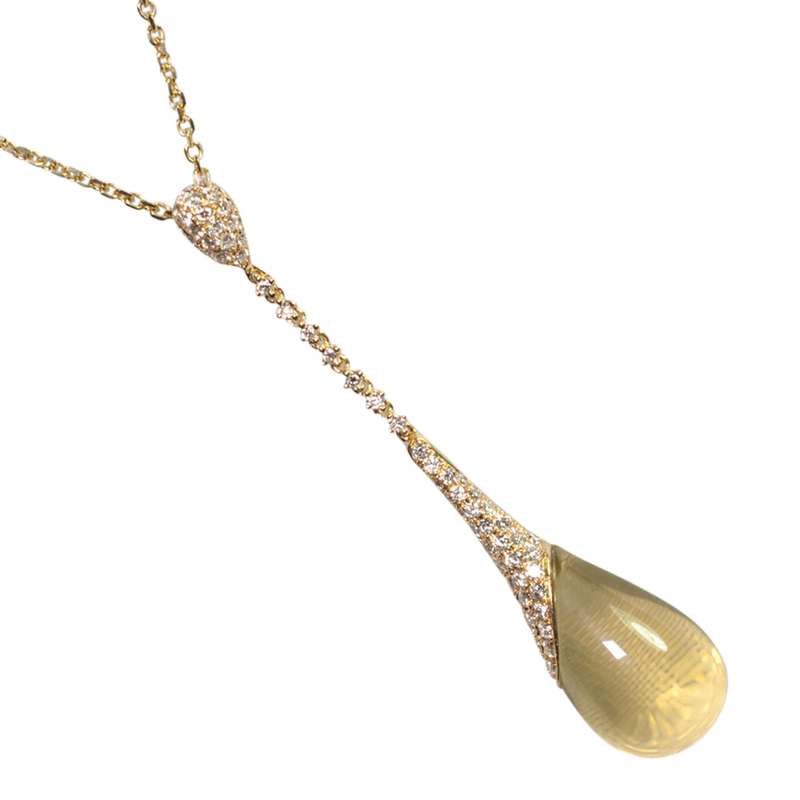 Modernist citrine and diamond pendant; the pear shaped cabochon citrine is a pale lemon colour and is fixed to a collar of brilliant cut diamonds, which, in turn, is suspended from a diamond set chain and bale. 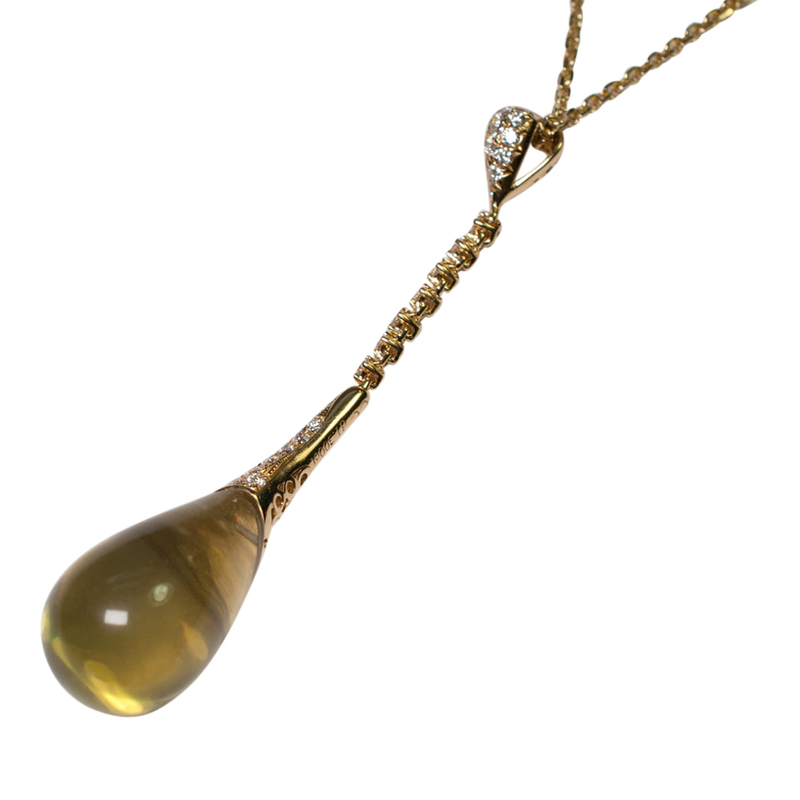 Total diamond weight, 1.30ct; stamped 18k with maker’s initials CC. 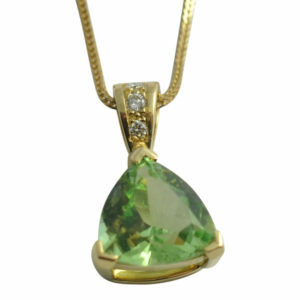 Weight of pendant 9.5gms. 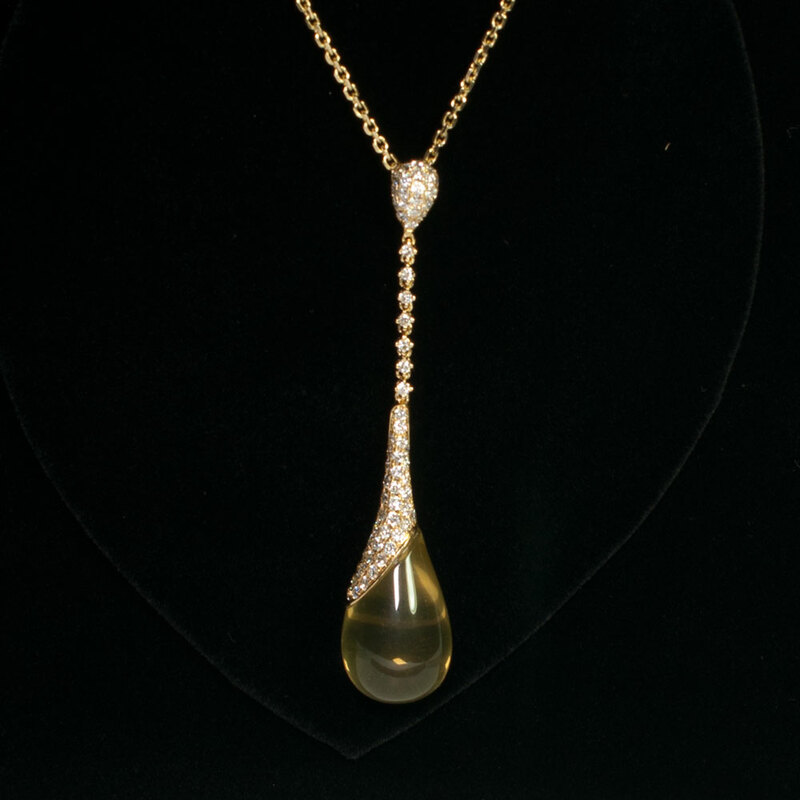 Length of pendant 7cms. 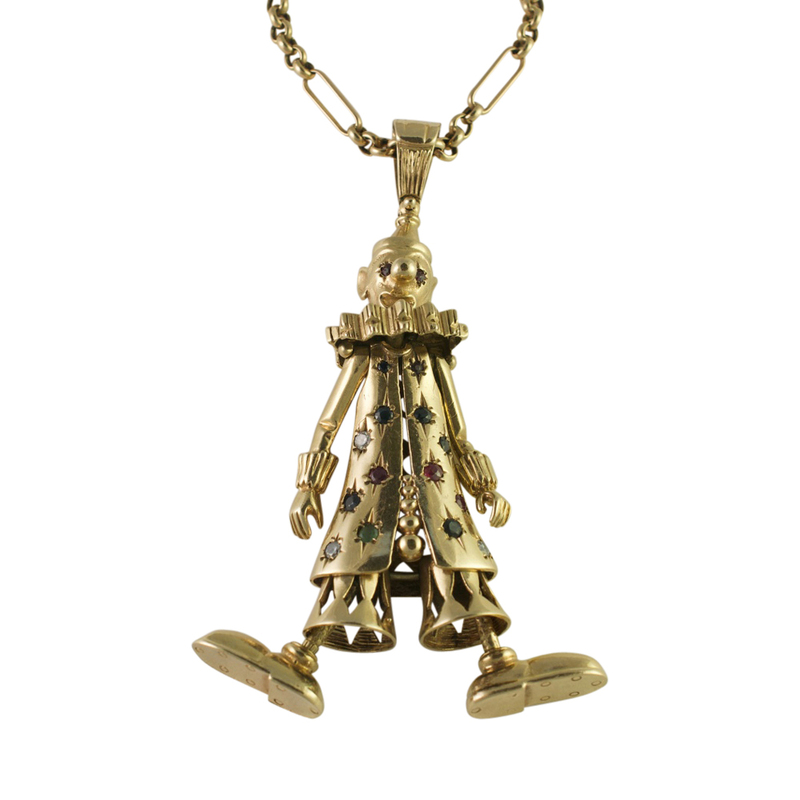 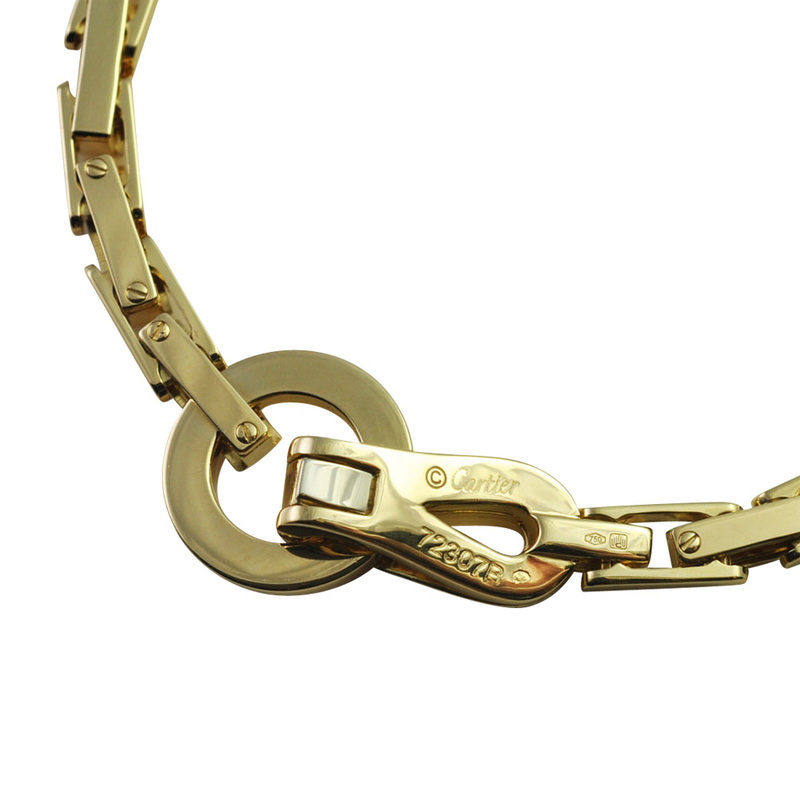 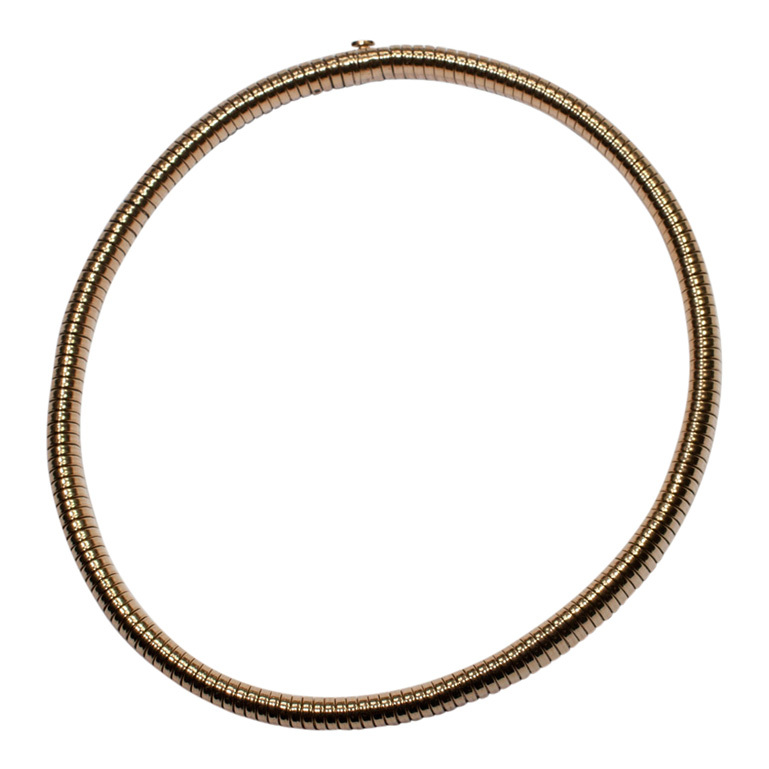 The chain is in 14ct gold, is 46cms long (18″), weighs 4.2gms and is stamped Italy, 14kt.